Sri Lanka is one of the newest footy nations on the world footy scene. There is no known history of the game being played in Sri Lanka on a regular or intermittent basis. Despite the fact that Sri Lanka is a top level competitor in modern day cricket, those cricket grounds in Sri Lanka have not had the sight of four white posts standing at either end. 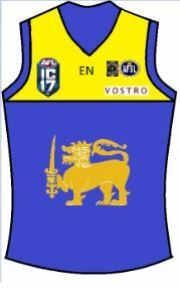 Now they not only have a footy team, but make their International Cup debut this Sunday. The country is officially the Democratic Socialist Republic of Sri Lanka, historically called Ceylon, is an island country in South Asia. Sri Lanka has maritime borders with India to the northwest and the Maldives to the southwest. There is a large number of people of Sri Lankan heritage in Australia. The following from www.museumvictoria.com.au Sri Lankans (formerly referred to as Ceylonese) have been settling in Victoria since the 19th century. They were first counted in the 1871 census, when 58 people were recorded. Like Sri Lankan settlers elsewhere in Australia, they probably immigrated as labourers or gold prospectors. Today, Sri Lankans make up the eighth largest immigrant group in Victoria, with 43,991 people recorded in the 2011 census. The community is culturally diverse, reflected in the languages spoken at home: 85% speak Sinhalese, 16% speak Tamil, and most others speak English. Religious diversity follows a similar pattern, with 70% Buddhist, 12% Hindu and 18% Christian. So while there are plenty of Sri Lankans have played Aussie rules at suburban or country level in Australia. No one has ever taken the game back to Sri Lanka and established the game there. Some VFL/AFL players of Sri Lankan heritage have come through the system. Hayden Crozier plays for Fremantle in the AFL and has a Sri Lankan father. Craig Jacotine played for Collingwood and both his parents were born in Sri Lanka. Enrico (Rick) Misso was born in Sri Lanka and moved to Australia as a child, he played for St Kilda in 1985. He is also the coach of the Sri Lankan team. Rick is a former ruckman, a big man, and his Sri Lankan team literally and metaphorically look up to him and he is clearly a well respected leader. Ranga Ediriwickrama born in NSW of Sri Lankan parents and was drafted with Round 4, Pick #60 2008 Rookie Draft by Geelong Cats (they had first access to him as a NSW scholarship listed player). He did not play an AFL game after an injury riddled time with the Cats. Brothers Prabath Fonseka and Anurudda Fonseka saw that footy was happening around the world, and that the world was coming to Australia to play in the International Cup. They took it upon themselves to get footy going in Sri Lanka and as part of that to get a Sri Lankan team to play at the 2017 International Cup. Last year they travelled to Sri Lanka with the aim of finding Sri Lankans to play the game targeting rugby players in a talent search. They conducted clinics to find the talent to fill out their team and were assisted by players from Essendon (Courtenay Dempsey) and Carlton (Ed Curnow, Harry McKay and Jesse Glass-McCasker) on the ground in Sri Lanka. Once they found a large group of interested and talented players, they narrowed the squad and knew they could make it happen. They left the group to train and prepare and returned to Melbourne. In Melbourne they held fundraising activities and worked on finding eligible Sri Lankans to fill out their IC squad. 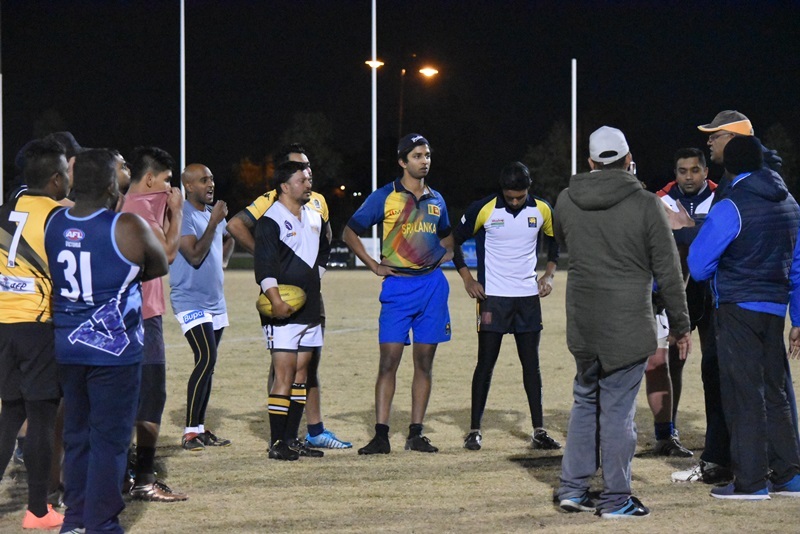 Now both groups have come together in Melbourne and are prepared to make their debut playing their first international footy matches in the International Cup starting Sunday. Being the newcomer it seems unlikely that they can pull off a victory during the competition, but we do know they have a number of good athletes from Sri Lankan rugby as well as some players with good experience in Australia (players from Ballarat, Stawell and Brisbane are part of the Australian based contingent). 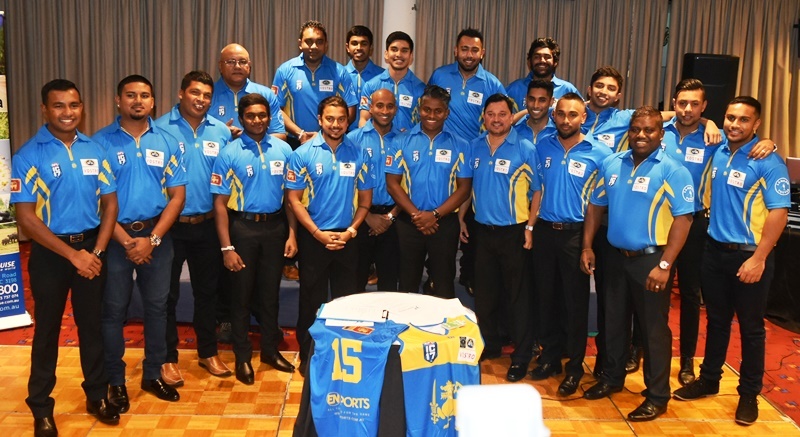 At the very least their participation is just a very early step in developing what is hopefully a long and successful future of the game in Sri Lanka.